Enjoy two (2) independent days in Edinburgh (pre/post) with three (3) days of touring. A warm welcome awaits you in Speyside, home to more than half of Scotland's malt whiskey distilleries. 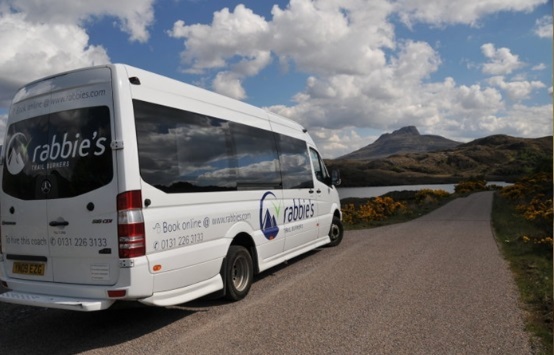 Your three (3) day adventure allows you to sit back and let us do the driving whilst you visit some of the finest whiskey distilleries in Scotland and enjoy the magnificent scenery of Cairngorm, Speyside and Royal Deeside. When touring begins on Friday (pre-night Edinburgh on Thursday) - days 01 and 03 of the itinerary will be reversed and the tour does not visit the Speyside Cooperage. The itinerary and distillery visits are subject to variation throughout the season and may not be the same as described in the itinerary, however, there will always be a minimum of four (4) distillery visits during the tour. Note tastings at the distilleries are not included and are paid direct. 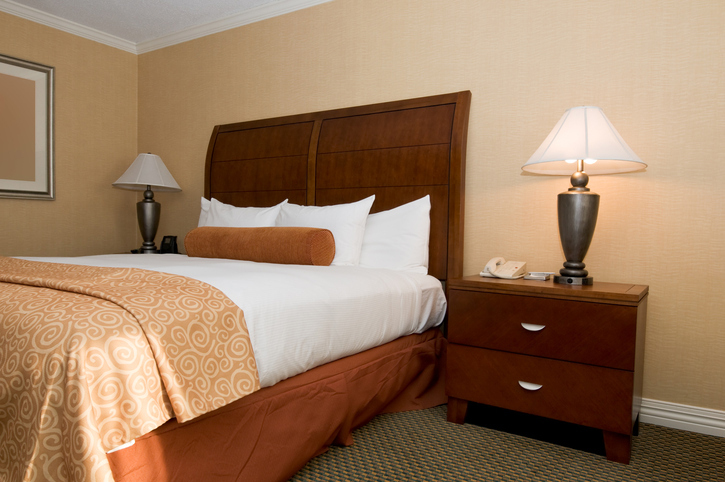 Arrive Edinburgh and transfer (included) to your pre-booked accommodations (note: check-in time is generally from 2:00 pm). Spend your day independently exploring Edinburgh on your own. Overnight in Edinburgh. Departure point at 6 Waterloo Pl, guests are requested to check in at least 15 minutes before departure. 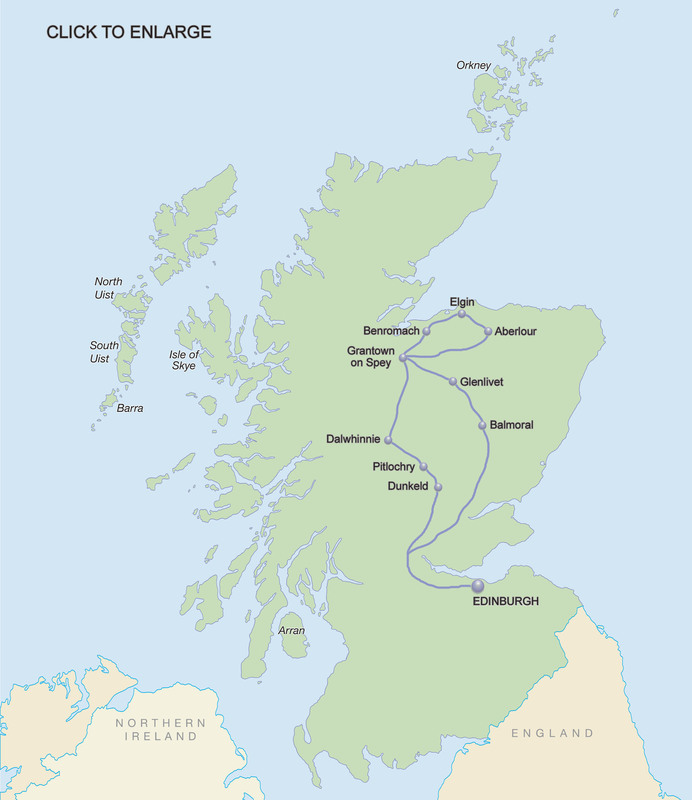 Depart Edinburgh at 9:00 am, our three-day Scotch Whiskey adventure starts with the journey north into the Highlands. 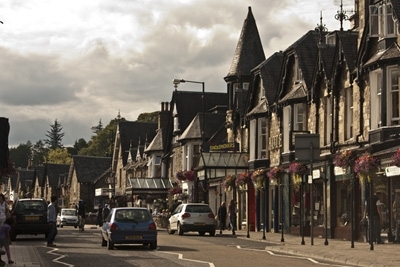 The first stop will be the historic village of Dunkeld for a short walk through the forest to some atmospheric waterfalls. After lunch in Pitlochry we will make our first distillery visit at Dalwhinnie - the highest distillery in the country and the closest to the source of the River Spey. From here we follow the river north through the Cairngorm National Park to the small town of Grantown on Spey - our base for the next two nights. 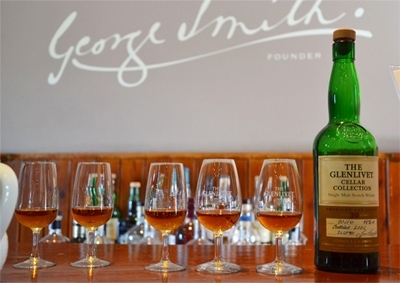 A whole day exploring Scotland's most famous whiskey region. After a scenic drive towards the coast, our first stop of the day will be at the family owned Benromach Distillery for a personalized tour. From here it is a short distance to Elgin - home to Gordon and Macphail - one of the world's leading specialist whiskey bottlers and suppliers. From here we will travel back up the Spey to Craigellachie for a visit to the Speyside Cooperage where we will see another aspect of the whiskey making process (Wednesday departures only). After lunch here or in nearby Aberlour we will visit Cardhu Distillery. Cardhu is the most important whiskey in Johnnie Walker Black Label. From here is back to Grantown on Spey. Travel through the beautiful Cairngorm Mountains on route back to Edinburgh. In the morning you will explore Glenlivet - not just a distillery but also a beautiful glen with great walks and wonderful wildlife. Later you will pass by the famous Balmoral Castle and stop in the village of Braemar in the heart of the National Park. From here the route south passes over Scotland's highest mountain pass then through Perthshire before arriving back in Edinburgh. Arriving at approximately 6:30 pm in Edinburgh. Your tour ends at Rabbies Cafe at 6 Waterloo Place in Edinburgh, where you will make your own way back to your pre-booked hotel. Tour dates are the date you would ARRIVE IN EDINBURGH. Please plan your air accordingly, as most flights overseas are overnight flights and you would depart the US one day earlier. The transfer will be waiting on arrival in Edinburgh.